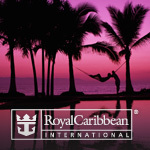 ROYAL CARIBBEAN - 15-Night Panama Canal from $53 / PER NIGHT - $799 !!! PLAVBA S ROYAL CARIBBEAN - 15-Noci Panamsky Prieplav od $799 !!! 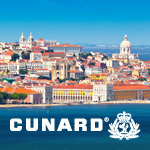 Enticing Europe and Exotic Destinations Await! Embark on an odyssey of stunning architecture, incredible history, and cultural awakening with this month’s handpicked selection of itineraries. 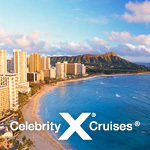 Set sail for the islands of the South Pacific or experience river cruising in Europe. 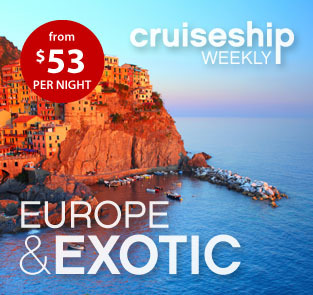 This week’s featured sailing is a 11 night Mediterranean cruise starting from just $59 USD per night with Norwegian Cruise Line! 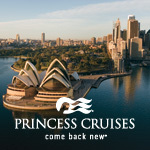 This cruise also includes a $50 USD Onboard Cash Credit! Experience Europe on an Escorted Tour! 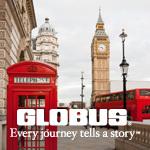 See more of Europe and don't worry about a thing when you book with Globus! Book an Air-Inclusive Europe Tour and receive an air credit on us! As part of the Expedia® Inc. family of brands, we can arrange your flight, hotel, car rental and more, all at Expedia prices!